Cloud computing is all the rage these days, with so many media and news outlets using this particular buzzword and touting it as a life-changing technology that will move the advancement of the world further forward and at a faster pace than before. Cloud computing itself can simply be defined as a particular type of computing that does not rely on local or personal hardware as well as software, but rather on a shared pool of resources. The resources used in a cloud computing platform can be either or both physical and virtual, as well. There are many reasons behind the popularity of cloud computing in recent years. While this term was first only known and understood by those who are particularly well-versed in technology, cloud computing has become more and more widespread that it has more or less become a household term these days, thanks to its implementation by many major providers. One of the main reasons as to why cloud computing is appealing to many is due to its flexibility, as well as scalability. With cloud computing, the size of a particular resource can be scaled down or scaled up in accordance to the amount of the workload to be done easily, without any need to spend your time, energy, as well as money investing on new hardware or software just to do the job. The flexibility and scalability of the resources used in cloud computing also means that it can be so much cheaper compared to a vast majority of computing models. This is because while you need to be prepared to pay a certain sum of upfront costs if you want to use other computing models, which will go to the purchase and installation of basic infrastructure such as software or server that often goes unused or used inefficiently. With cloud computing, you only have to spend your money on the resources that you actually use, therefore avoiding any potential of unnecessary spending on your part. Not only that, this particular computing model also offers you multiple options as to what kind of cloud computing that you want to use, based on the level of security and management that you are looking for, as well as the budget you have in hand. 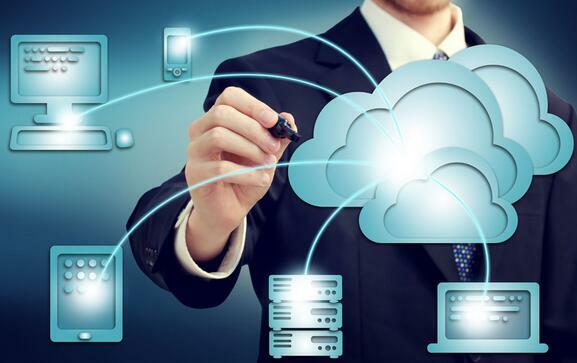 The most common choice of cloud computing is the public cloud, which as the name suggests refer to the cloud services and infrastructures hosted by a cloud provider that is shared and can be accessed from public networks, generally through the internet. It is a popular choice for businesses with limited budget, although it is more vulnerable to security risks compared to a private or a hybrid cloud. If you have a greater amount of budget and are particularly concerned about the security of your data, then a private cloud computing model with a closed access on a private network that only a single client can access might be the right choice, especially if you are using it for critical or sensitive operations. next articleHow to Reduce Bounce Rate of Our Website?